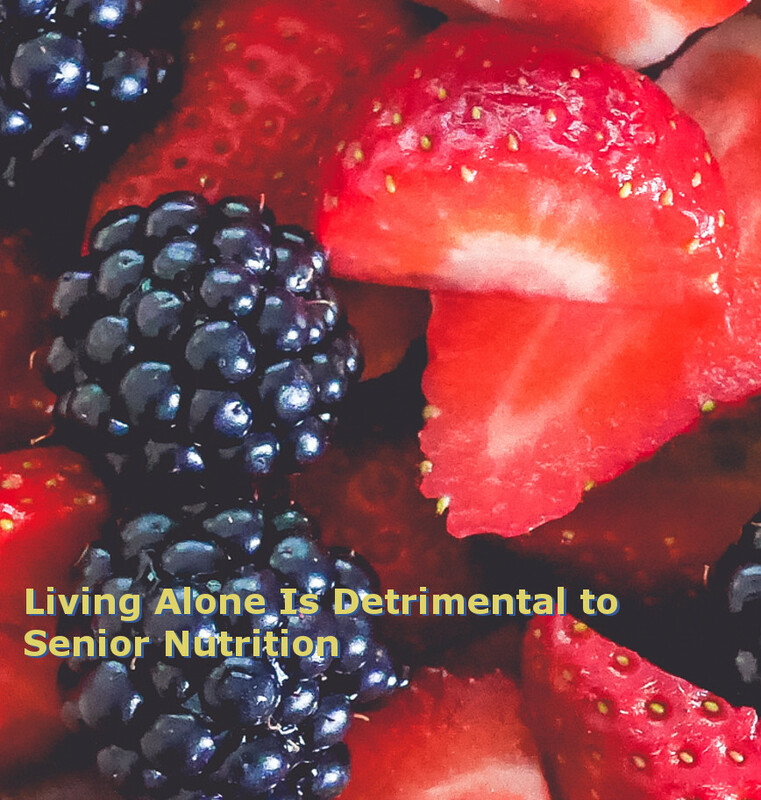 Living alone is detrimental to senior nutrition. Adequate nutritional intake is important for everyone, but especially so for the young and the young at heart. As people age, their appetites may decrease because the body’s metabolism slows, however, getting a balanced diet remains as important as ever before. A 2015 study (1) by Katherine L. Hanna and Peter F. Collins at the University of Queensland looked into 41 separate studies that cover nutrition and eating habits. Results suggested that people who live alone eat a less diversified diet, with a lower intake of fruits, vegetables, and fish. They also are more likely to eat unhealthy foods, such as those that are pre-packaged and high in sugar, salt, and/or fat. Aging loved ones need help in monitoring their diets to ensure that they are eating regularly and healthy. • Foods high in fiber to help with cholesterol management: oatmeal, apples, pears, and kidney beans. When mealtime preparation becomes difficult for the senior and the caregiver isn’t able to assist on a daily basis, it may be time to consider an assisted living center. For more information on this or other topics related to assisted living, please contact us and we can provide more information and resources to assist you in this very difficult time in your loved one’s life and your own.